In this tutorial we show you how to serve your customers on popular messaging networks like Facebook Messenger, Wechat and Telegram. Mobile messaging apps are in top 3 of most used mobile apps by consumers and they provide a unique opportunity for businesses too. Take the two steps below and start serving your customers as easy as a conversation today (incl. a free 14 day trial). For consumers, messaging apps have some specific advantages : they are private communication channels, real-time and asynchronous. Messaging quickly became the preferred way of communication among consumers. 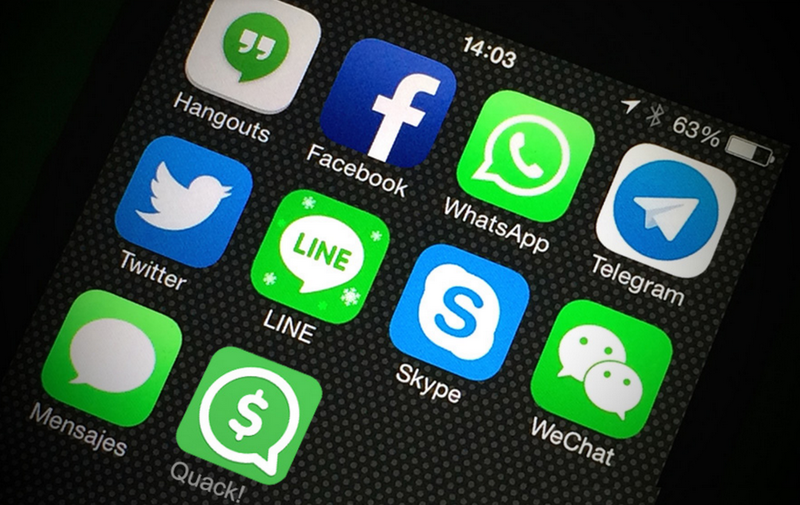 Over the last years messaging apps have outgrown social media. Today more monthly active users are active on the top 4 messaging apps compared to the top 4 social media. Unfortunately it remains difficult to contact businesses as simple as contacting friends or family. Businesses still need to be contacted through phone numbers, contact forms, IVR’s and e-mails. Long waiting times, non-consistent experiences and slow resolution times are only a few of the symptoms in the current state of business-consumer interactions. 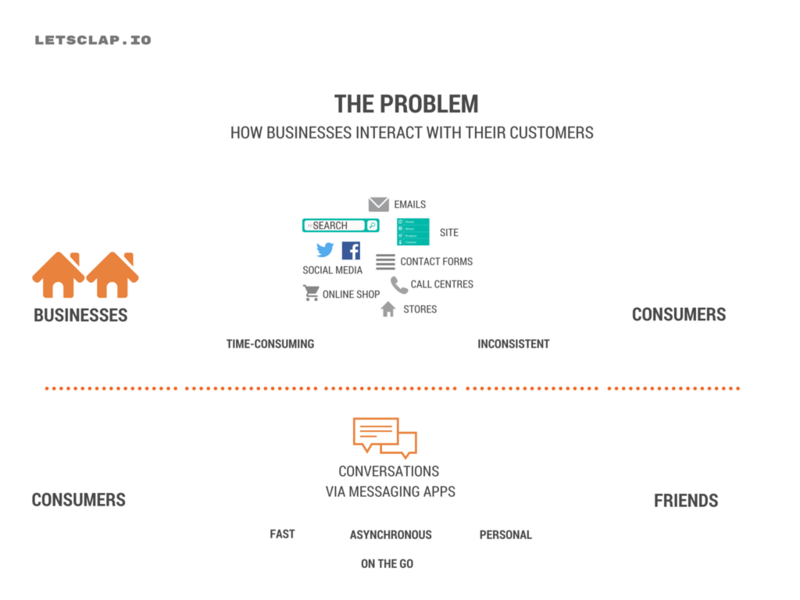 Messaging is a powerful way to cut through this complexity of business-consumer interaction. Messaging apps are growing into a platform for commerce and customer service. This “conversational commerce” creates new opportunities for brands to deliver convenience and decision support on-the-go. Read more on Conversational commerce on our Letsclap blog. So how can you connect your business to the most popular messaging networks? With Letsclap.io, you can setup your team inbox to manage all your messaging networks and to deliver real-time customer service & commerce to your customers. Complete your details on the sign-up page and continue to the next step. It will take you only a few seconds. Now connect your messaging networks to your Letsclap team inbox. Choose your messaging network and complete the details. For Facebook Messenger, you simply need to connect your Facebook Page to Letsclap. Make sure you are an admin of your Facebook Page. For Telegram , we use the Telegram Bot feature to connect you with this growing network. 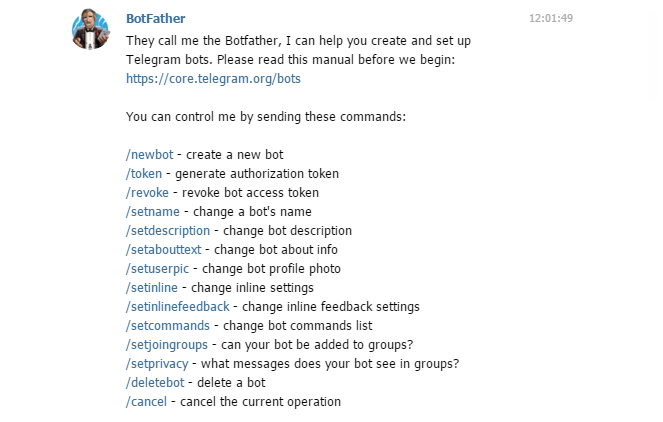 First create a new Telegram bot with the @BotFather himself. The Botfather will give you an token you need to enter in Letsclap. That’s it! You are now ready to start the conversation with your customers on the most popular messaging apps via Letsclap. New conversations from any network will appear in your team inbox. You can add your colleagues to your team and collaborate on your conversations. Letsclap provides you with real-time statistics and advanced reporting to better understand the performance of your team and the nature of the conversations with your customers. Drill down on any timeframe to analyze your conversation, actions and response times, per agent or for your whole team. Learn from your customers and improve your service. Ready to get started? Start here and connect your team & brand to the most popular messaging networks. Messaging create a unique platform for brands to engage in real-time conversations with their customers whereever they are. With the exponential reach of messaging networks, more businesses support their customers via messaging apps. The addition of bot technology , artificial intelligence and machine learning enables businesses to scale their conversational commerce beyond their human experts. Commerce and customer service as easy as a conversation. Setup your team inbox on Letsclap today and deliver customer service on the go (14d trial included).